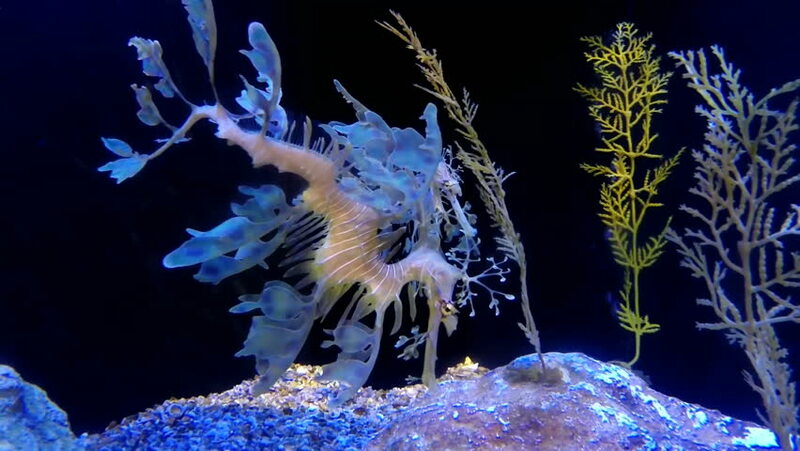 Several Leafy Sea Dragon Fish (Dragonfish) swim slowly past the camera. This animal is native to southern Australia. 4k00:08Aquatic fish in the aquarium with beautiful coral reefs and seagrass. Small fish with colorful light, suitable for display.